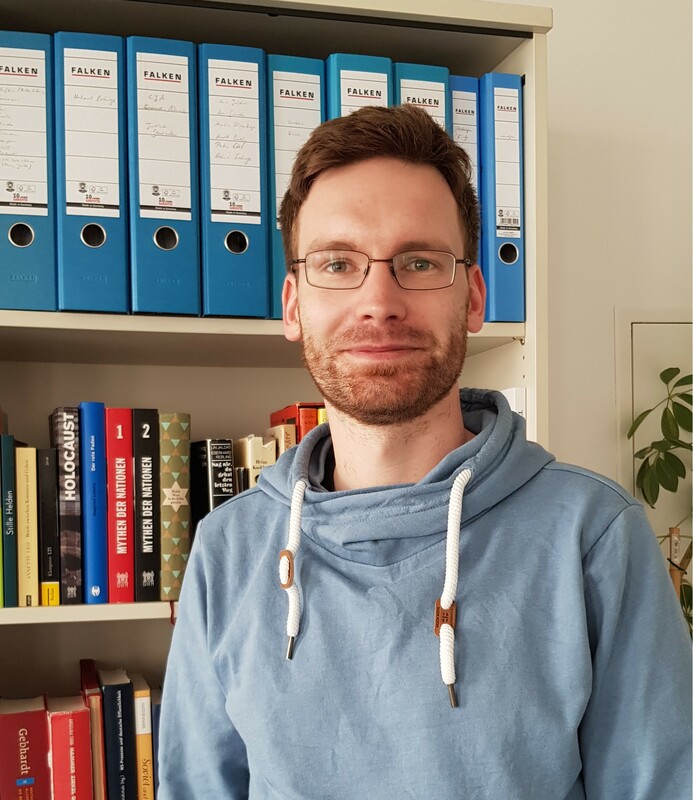 Alexander Walther is a PhD candidate at Friedrich Schiller University Jena, Germany. He is currently completing hist dissertation Die Shoah und die DDR. Erinnerung und Repräsentation im Antifaschismus (The Shoah and the GDR. Remembrance and Representation within Anti-Fascism). He studied history and English as a training for future teachers of secondary schools, receiving his First State Exam (equivalent to M.Ed.) from Friedrich Schiller University Jena in 2014. During his studies, he worked as a student and research assistant at the Imre Kertész Kolleg Jena and as an intern at the Leo Baeck Institute London. My dissertation traces the various forms of remembrance and representation of the Shoah in the GDR. I argue that several protagonist’s of the GDR’s cultural life made an effort to ensure that the Shoah was given a space within the seemingly self-contained anti-fascist discourse of the state. They managed to do that by adopting anti-fascist rhetoric, but utilising and transforming it to fit their own agenda, mostly by applying a distinct Jewish perspective of the experience of World War II and National Socialism. By selecting a wide range of public figures from areas of work – among them Lea Grundig (artist), Lin Jaldati (singer), Helmut Eschwege (historian), Arnold Zweig (writer), Rudolf Hirsch (journalist), Martin Riesenburger (rabbi), or Heinz Knobloch (columnist) – I argue their works were intertwined, and that their manifold relationships with each other were used in order to foster the same purpose: a Jewish perspective of the GDR’s anti-fascism. “Der Gerichtsreporter als Zeuge. Rudolf Hirsch und die Erinnerung an die Shoah in der DDR.” Year Book of the Simon Dubnow Institute. eds. Yfaat Weiß. Göttingen: Vandenhoeck & Ruprecht, forthcoming. “Helmut Eschwege and Jewish Life in the German Democratic Republic.” Rebuilding Jewish Life in Germany. eds. Jay Geller & Michael Meng. New Brunswick: Rutgers UP, forthcoming. “Distrusting the Parks. Heinz Knobloch’s Journalism and the Shoah Memory in the GDR.” Growing out of Antifascism’s Shadow: Holocaust Memory in Socialist Eastern Europe since the 1950s. eds. Kata Bohus, Peter Hallama, and Stephan Stach, forthcoming. 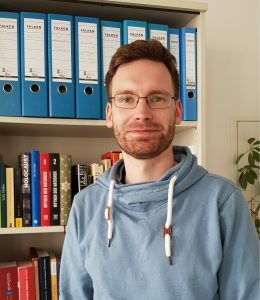 “Zur Rolle der Familie in den Erinnerungen jugoslawischer Bürgerkriegsflüchtlinge in Deutschland.“ Migration und Familie. Historische und aktuelle Analysen. eds. Meike Baader / Petra Götte & Wolfgang Gippert. Wiesbaden: Springer, 2018, 101-112. (with Christian Jänsch) “Kulmhof/ Chełmno nad Nerem.“ Orte der Shoah in Polen. Gedenkstätten zwischen Mahnmal und Museum. eds. Jörg Ganzenmüller & Raphael Utz. Wien/Köln/Weimar: Böhlau, 2016, 67-98. (with Christian Jänsch) “Zur Würde von Menschen an Orten nationalsozialistischer Massenverbrechen.“ Orte der Shoah in Polen. Gedenkstätten zwischen Mahnmal und Museum. eds. Jörg Ganzenmüller & Raphael Utz. Wien/Köln/Weimar: Böhlau, 2016, 329-348.